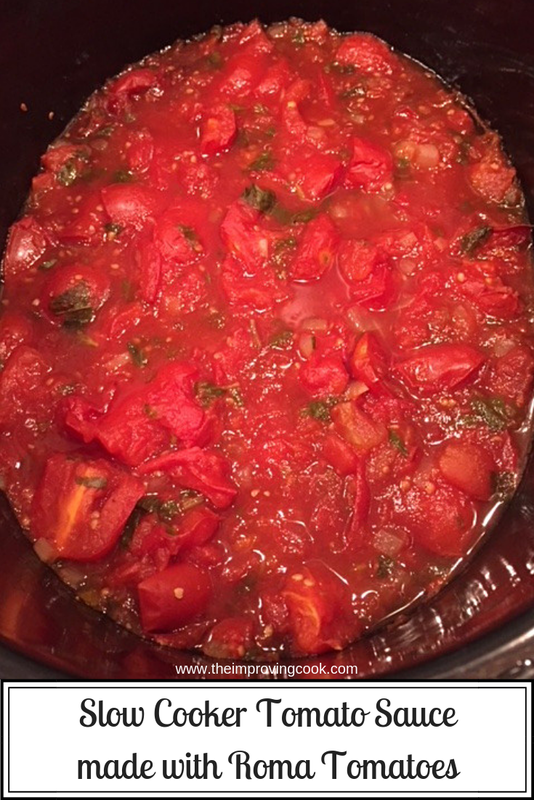 Slow Cooker Tomato Sauce made with Roma Tomatoes- a simple, no fuss, slow cooker recipe to make a delicious tomato and basil sauce with your crop of home-grown Roma tomatoes. We had a bit of a family competition this year to grow Roma tomatoes; one plant each, first to get a red one. It went a bit awry thanks to the UK heatwave though... Plenty of tomatoes all stubbornly staying green! They were hibernating, essentially, due to the very high temperatures. Once it cooled off into normal British temps for August, they finally all started to turn red. I didn't win unfortunately but I'm laying the blame for that firmly at the door of my suntrap, back garden! What to do with a big crop of Roma Tomatoes? 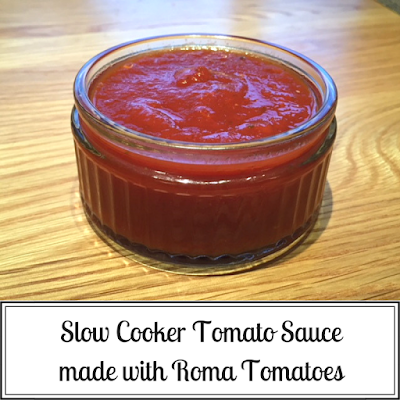 Well, Roma are the perfect tomato for making sauces and chutneys because they are 'paste tomatoes' which are quite robust and have fewer seeds than other varieties, helping to make a nice, thick texture. This slow cooker tomato sauce is incredibly easy to make and is a perfect base for a pasta sauce, soup, spreading on a pizza or as a base for Mexican cooking. It requires remarkably little effort on your part, which is fair enough, as you put all the working into growing them! 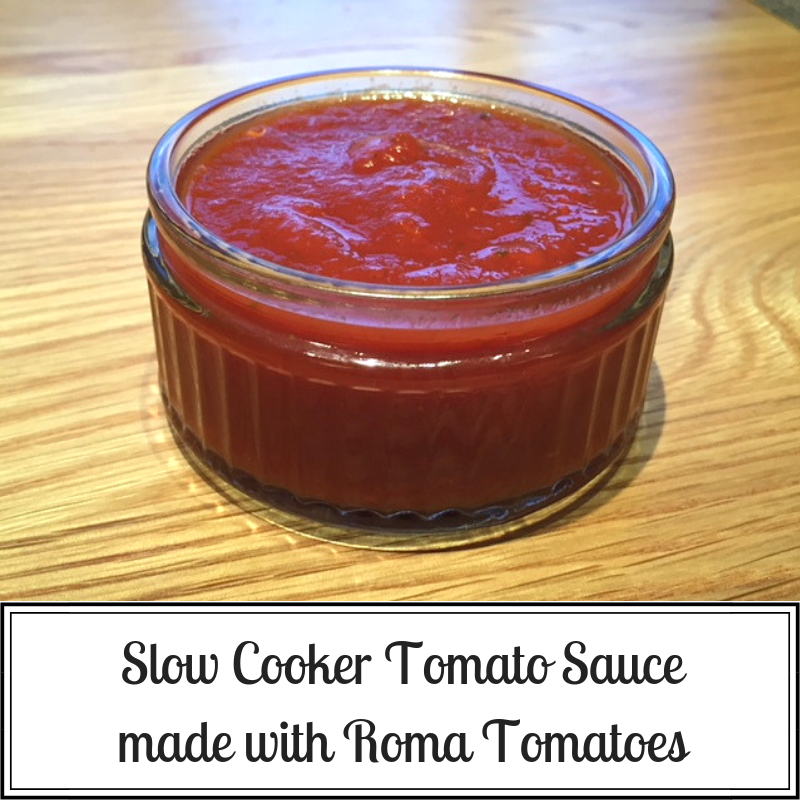 The flavour of home-made tomato sauce in the slow cooker is deeper and far richer than shop-bought sauces. It's also a great deal lower in sugar. Did you see that recently, Dolmio admitted that some of their sauces have so much sugar in them that they shouldn't be eaten more than once a week? But they are by no means the worst offenders, many of the other own brand and branded shop-bought sauces contain as much sugar as chocolate bars and ice creams. Pretty shocking, and all the more reason for you to make the most of your Roma tomato crop and get that sauce bubbling in the slow cooker! 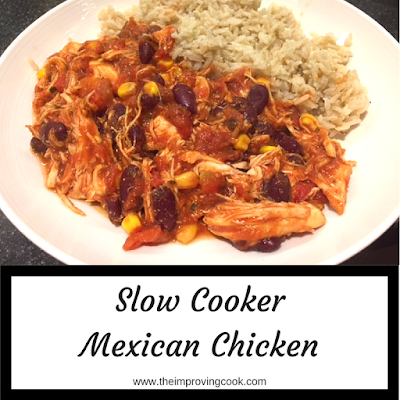 For the detailed recipe card, go to the end of this post. Chop the tomatoes roughly into quarters. If you don't have enough fresh tomatoes, you can supplement with a tin of chopped tomatoes. Now add the salt, black pepper, garlic and balsamic vinegar. Chop the fresh basil and the onion and add to the slow cooker. Stir it all together and cook on medium for 5 hours. When cooked, it should be darker and thicker than before. Use a hand blender to make it really smooth. 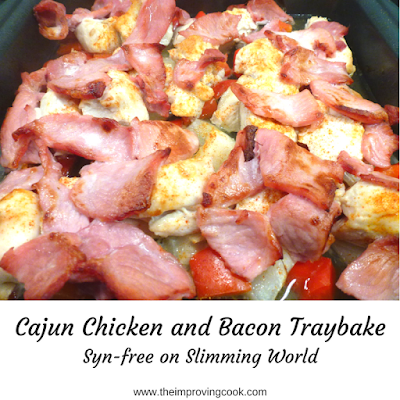 Serve immediately or allow to cool and divide between containers for the freezer. Slow Cooker Tomato Sauce made with Roma Tomatoes- a simple, no fuss, slow cooker recipe to make a delicious tomato and basil sauce with your crop of home-grown Roma tomatoes. 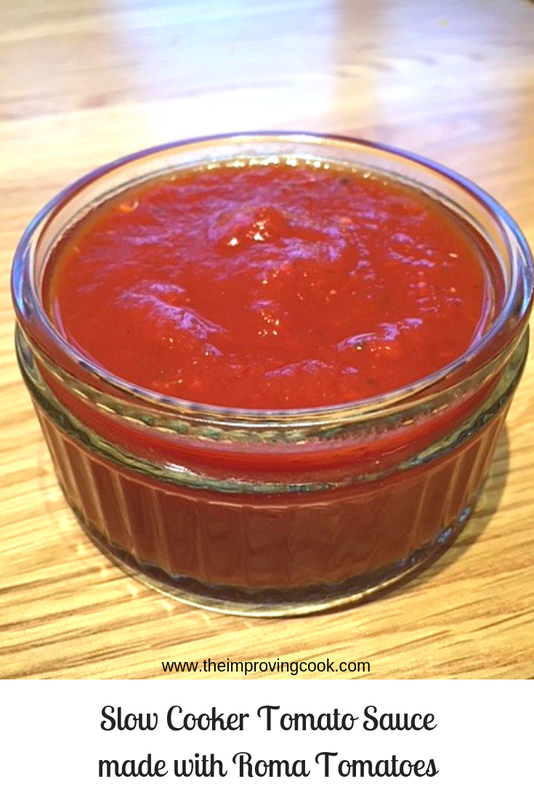 Use for pasta sauces, pizza or dipping. 1. Chop the tomatoes roughly into quarters. 2. Put in the slow cooker and add the garlic and balsamic vinegar. 3. Chop the onion as finely as you can and the basil roughly. 4. Add to the slow cooker and season with the salt and pepper. 5. 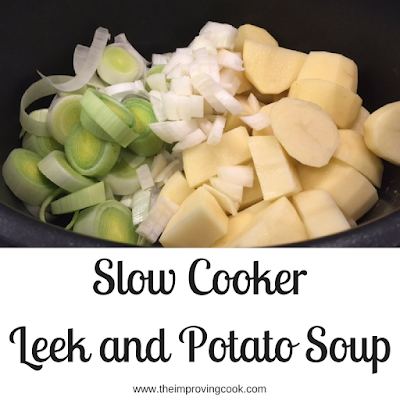 Cook on medium heat for 5 hours or low for 7-8 hours. 6. Blend with a hand blender and the serve or use in further cooking. If you don't have enough Roma tomatoes (or other paste variety), supplement with tinned. If the sauce is too acidic for your taste, add a tsp or two of sugar. Add fresh, chopped chillis to make a salsa or spicy sauce.